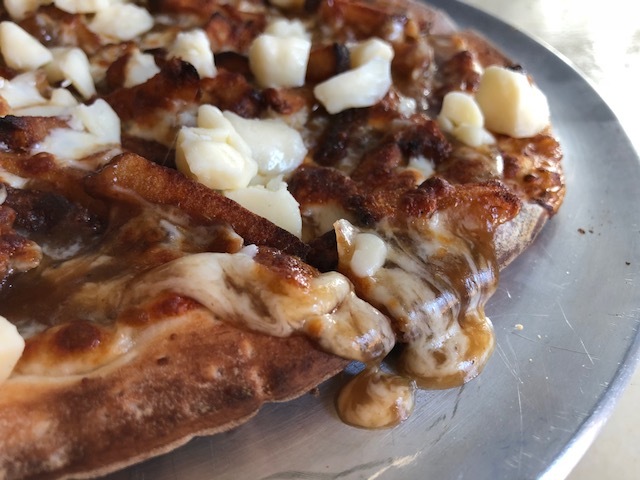 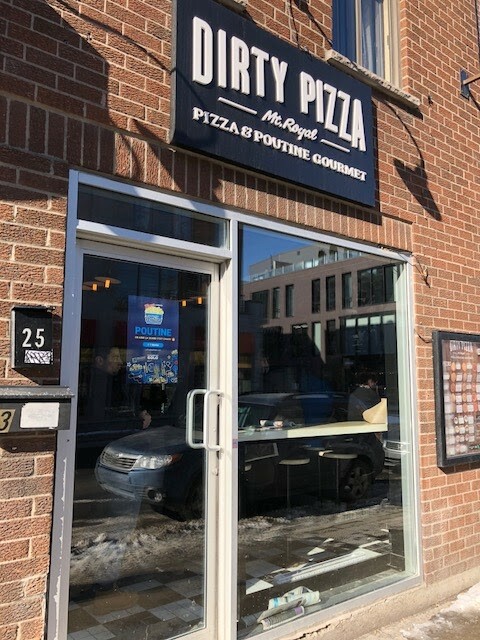 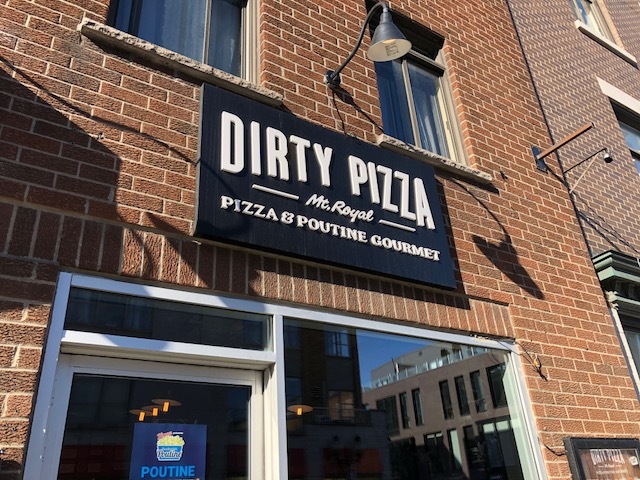 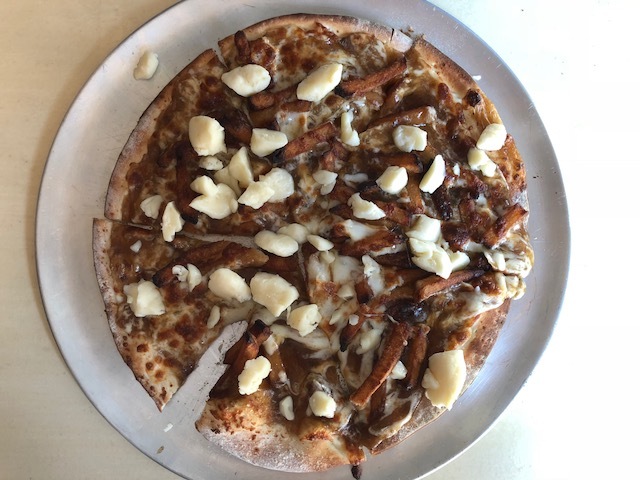 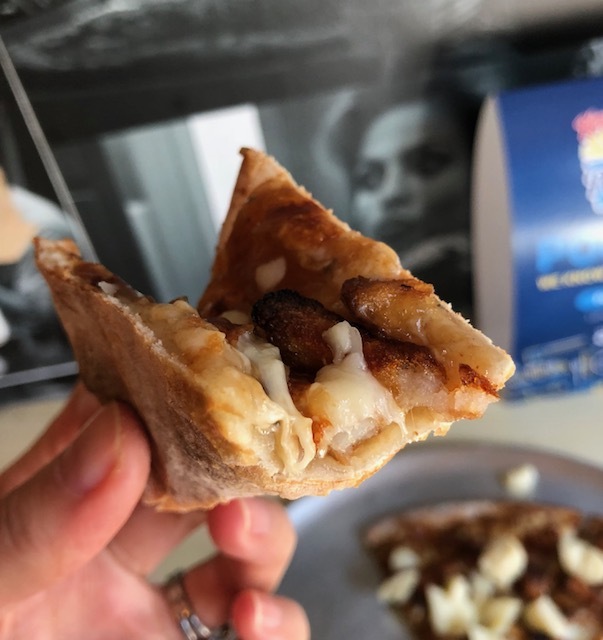 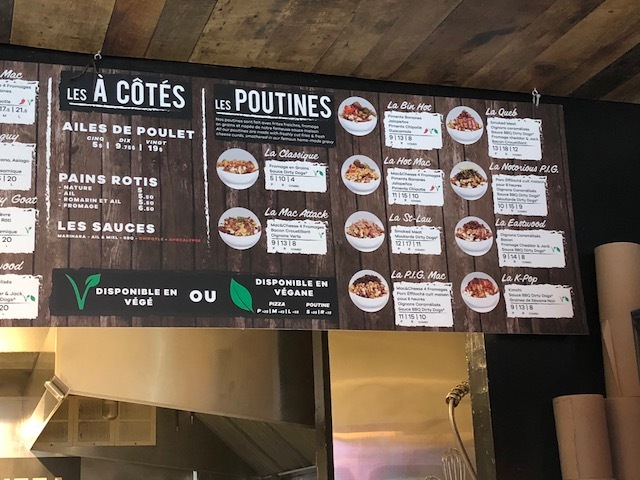 Dirty Pizza has The Poutine Pizza during La Poutine Week 2018. 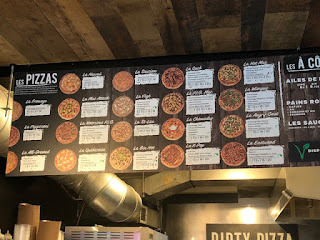 I though this spot had very close logo and layout inside to Dirty Dogs that I've been to before, and apparently Dirty Dogs had moved and this is a sister shop. The interior was changed a bit and they said they make fries crispier and crunchier than the previous shop. 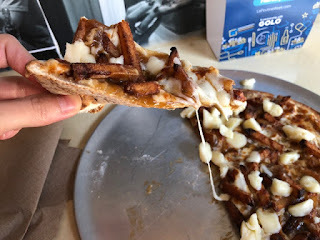 When I ordered The Poutine Pizza, they stretched the dough, spread gravy sauce, added shredded cheese, fries, and more cheese, then put it in a conveyor toaster. When it's cooked, they added cheese curds to finish. 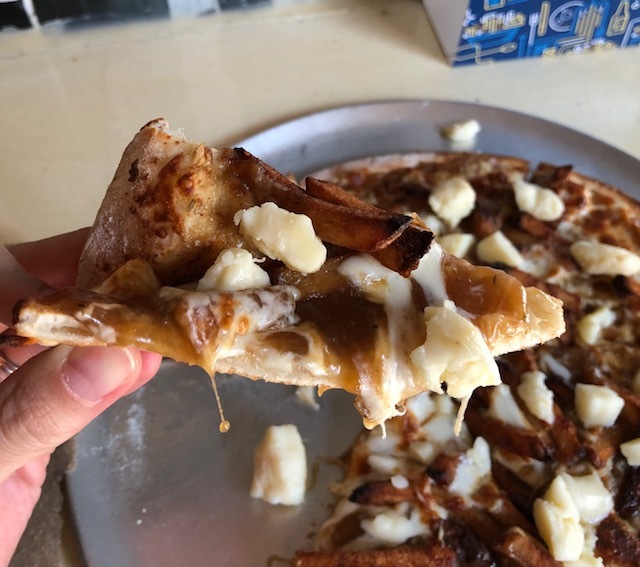 Shredded cheese was melted and mixed with gravy sauce, and they're making marble patterns. 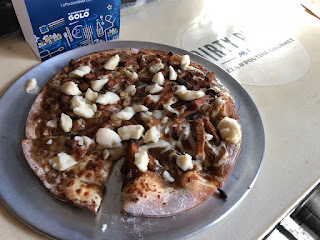 The thin crust was crispy but also slightly chewy in the middle. Fries were crispy as it's toasted when it's cooked in the toaster, melted cheese was stringy, and cold cheese curds placed right before serving were chewy. The gravy sauce had some bitterness but other than that, it's a classic gravy. 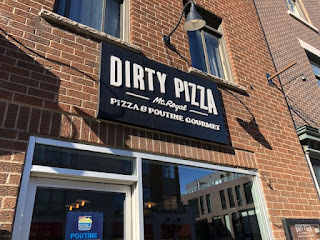 I only had about on hour interval from the previous poutine, but luckily the crust was light and as the poutine was used as toppings, there're less fries than regular poutines so that I could eat it all.